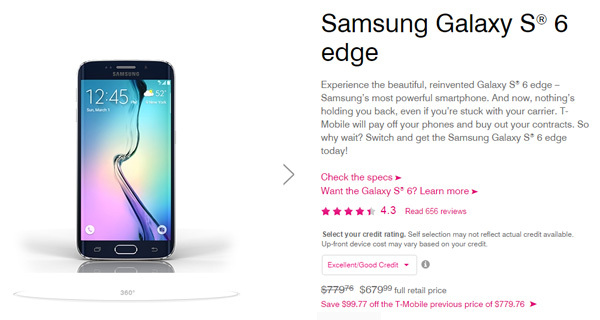 If you have been on the fence about ordering a Galaxy S6 or Galaxy S6 Edge and are a fan of T-Mobile, then now may be the time to get that order in after the company slashed prices by as much as $200. Samsung has already said that we should expect to see price reductions on its flagship Galaxy S6 and Galaxy S6 Edge smartphones owing to poor sales figures at the end of the last quarter. Up until now, the Netherlands Samsung store was the only one that had seen revised prices for the devices, but the same should be coming to other stores around the world soon, we expect. For now, it looks like one retailer has taken steps to try and kickstart sales for the smartphone series itself. 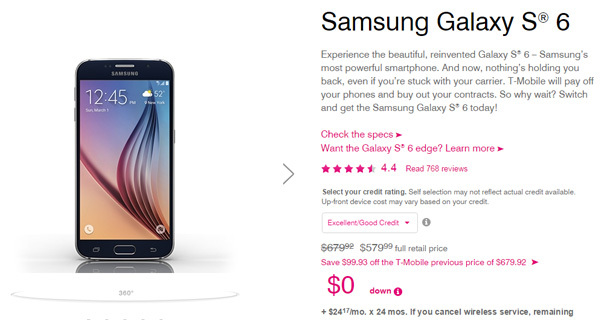 US carrier T-Mobile has now reduced the price of both smartphones, seemingly independently of Samsung. As of last night, T-Mobile customers looking to pick up a Samsung Galaxy S6 or Galaxy S6 Edge in the 32GB or 64GB guise will be able to for $100 less than they would have 24 hours earlier, while those willing to plump for the higher capacity 128GB models will save a whopping $200, making that particular model of Galaxy S6 worth just $659 and Galaxy S6 Edge, $759. Given the $200 price drop on the higher-end models, we would have to say that the middle-of-the-road 64GB Galaxy S6 and Galaxy S6 Edge aren’t the best of deals, though you can’t really go wrong if stretching to the 128GB versions is a little outside of your budget. The Galaxy S6 and Galaxy S6 Edge handsets are both excellent smartphones, but with Samsung currently in the midst of a disastrous period of financial results, the price reductions are believed to be the best way to kickstart sales. 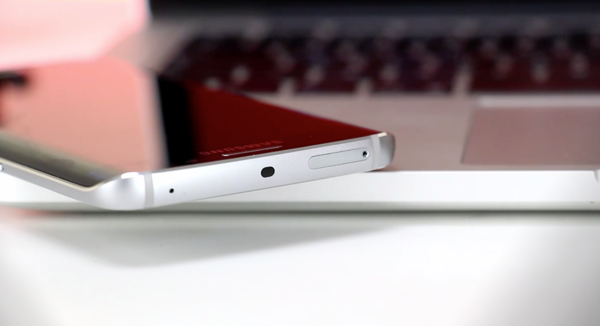 With the Galaxy Note 5 set to arrive soon, Samsung will be hoping for an upturn in sales performance, especially given the Galaxy Note’s history as one of the company’s better sellers. I don’t even think they’re worth over 300, tax included. I feel sorry for the early adopters of these S6 phones. Looks like you’ve lost almost all your resale profit value now. It’s gonna be harder to scrounge up money for that Note 5 when you’ve lost $100-$200 so soon. Ouch.